foreclosure auctions held in San Joaquin County, Calif. The 38-year-old admitted to conspiring with a group of real estate speculators who agreed not to bid against each other at certain public real estate foreclosure auctions in San Joaquin County in order to keep prices low. According to the court documents, after the conspirators’ designated bidder bought a property at a public auction, they would hold a second, private auction, at which each participating conspirator would bid the amount above the public auction price he or she was willing to pay. 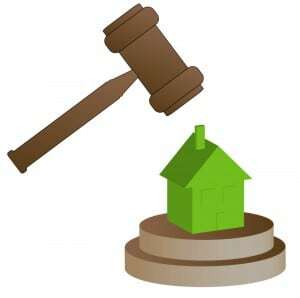 The conspirator who bid the highest amount at the end of the private auction won the property. The difference between the price at the public auction and that at the second auction was the group’s illicit profit, and it was divided among the conspirators in payoffs. The investor says he participated in the scheme from about April 2009 until about October 2009. To date, four others have pleaded guilty to participating in a conspiracy to rig bids at public foreclosure auctions held in San Joaquin County. The Antitrust Division of the Department of Justice has vowed to continue investigating and prosecuting anti-competitive practices in real estate foreclosure auctions in the Sacramento area and into northern California. Bid rigging, a violation of the Sherman Act, carries a maximum penalty of 10 years in prison and a $1 million fine. The maximum fine may be increased to twice the gain derived from the crime or twice the loss suffered by the victims of the crime, if either of those amounts is greater than the statutory maximum fine. The investor also pleaded guilty to conspiracy to commit mail fraud, which carries a maximum sentence of 30 years in prison and a $1 million fine. These charges arose from an ongoing federal antitrust investigation of fraud and bidding irregularities in certain real estate auctions in San Joaquin County. The investigation is being conducted by the Antitrust Division’s San Francisco Office, the U.S. Attorney’s Office for the Eastern District of California, the FBI’s Sacramento Division, and the San Joaquin County District Attorney’s Office.